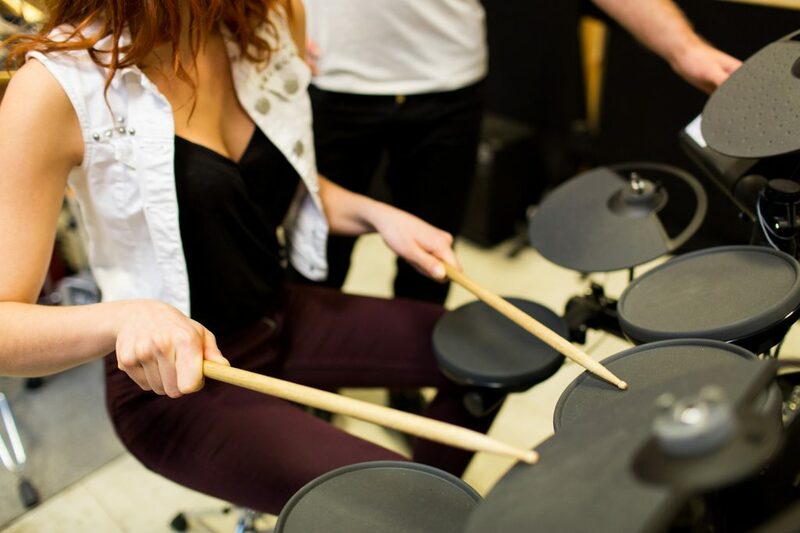 Just playing your electronic drums won’t always suffice your drummer needs. Once you get up to speed you will start looking for various ways to connect your drum kit to your computer and maybe even try to record the drums themselves. For all these features we know a solution, and that is what we are going to be talking about now. 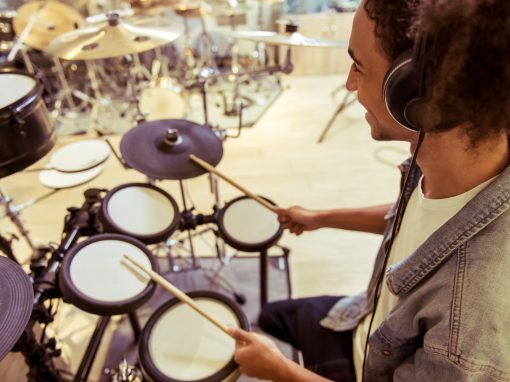 If you still haven’t made up your mind on which electronic drum set to get, we’ve covered this topic in our article. There, we’ve handpicked a few of each class to help you make a better choice. 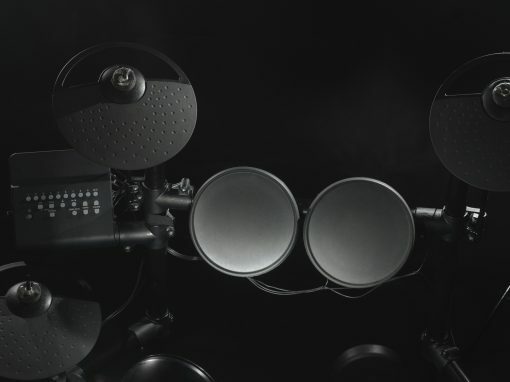 Once you get the drums, all that’s left for you is to figure out a way to connect them to your device and start messing around. In case you simply want to amplify your drums, check our out article on the topic. Either way, let’s get started. There are a few things that you need to do before you start configuring anything. First, you will need to install the driver that comes from the manufacturer of your e-kit. This can be Alesis, Roland, or any other brand that makes electronic drums. 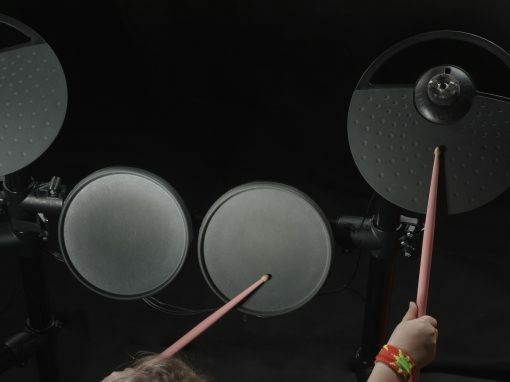 These drums come with a driver so that they can talk to your PC. After you install the driver, you’ll want to install your Digital Audio Workstation (DAW), may it be Reaper, Cubase, Studio One, or another. After that, you can install your drumming software (Addictive Drums, EZDrummer, etc). Last but not least, you will need to install a low latency audio driver. If you don’t you will have a noticeable delay between when you play your drums and hear the sound of it. Everybody seems to be using ASIO4ALL. It gets the job done and most importantly – it’s free. The actual installing of your drum module onto the computer happens via a USB cable (or wireless/Bluetooth on some more advanced drums). Some manufacturers give you a disk to put into the pc, others – a flash drive. Once you get all this done, you can move on to actually configuring the computer and all its options. Another thing you might want to do after you’ve successfully connected your electronic drums to your computer would be to record them. Let’s get into that. Before we continue, we wanted to quickly point out a few of the benefits of recording with e-drums, as they often seem really unappreciated. You will have a high quality of professionally-recorded drums and cymbals which can cost as much as a car and are available only in studios which you can’t afford. All you need to have to record your drums are your drum kit, a DAW program, a MIDI interface and that’s it. First, you need to connect your e-kit to your computer. We recommend getting a MIDI-to-USB cable, which has MIDI interface built straight into it. They are cheap and get the job done. Insert the “IN” plug into the OUT port of your e-kit. The USB plug goes into a USB port on your computer/laptop. The next thing you need to do is open your DAW and create a new project. Once this is done, create a new MIDI track and set the track input to your MIDI adapter. Once this is done you can open up your drum synth of choice and use it with the specific track in the DAW. Configure the sound levels and hit “Record”. It is really that simple. Have in mind that the process may vary from DAW to DAW, as some like Logic Pro and Studio One are a bit more complicated than others. Let’s check how this is all done on Garageband. For this action, you will need a ¼” to mini jack cable. All you have to do is connect from your line out on the drum module to your line in on the Mac. With Garageband being a Macintosh exclusive app, it is as simple as any other Mac product. You just need to plug in your MIDI device to the Mac and open up Garageband. To check if your device has been detected, click on the top left drop-down menu and then “Preferences”. Go to “Audio/MIDI” and it should say “1 MIDI input detected”. If this is your case, create a new track (software instrument). Whenever the track is selected you should be able to start playing and recording immediately. There are cases when Garageband doesn’t detect your electronic drum kit, though. In these particular cases, you will need to contact the manufacturer of the kit and see if they have any solution for that. It might be rare, but it happens. You can use your e-kit as a trigger for a drumming VST plugin. 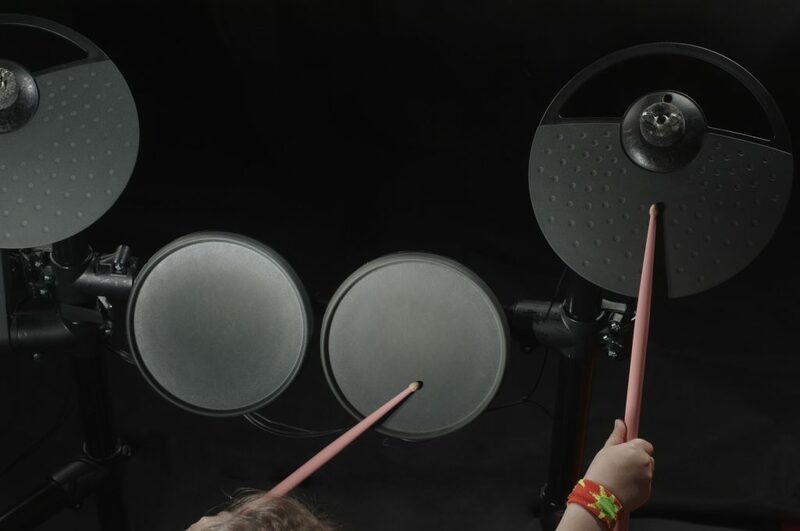 Electronic drums are an amazing creation which makes the everyday drummer’s life way easier, as it eliminates all the noise and space issues. Even so, that isn’t enough for most people and they want to connect their e-kits to a computer. That opens doors to a whole new world of possibilities ranging from being able to modify the sound of your e-drums to being able to record them properly and play them back on top of a track or a video.